This donated Thunderbird is serial number 004. 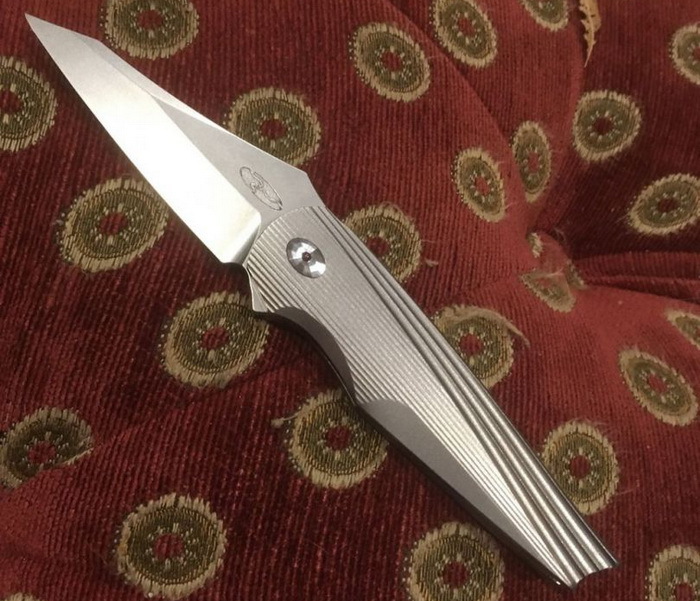 Can you think of a knife company that doesn’t boast of using the finest materials, the latest manufacturing techniques, and state-of-the art machinery while paying attention to every detail? Of course, our small batch production knives manufactured at Halpern Titanium can make those same claims, but we think there’s much more to it. Three Rivers Mfg. believes that buying a folding knife or fixed blade is a very personal decision. We want our knives to feel comfortable in your hand and become your everyday companion (EDC), going with you everywhere. Besides comfort, your knife needs to offer convenience. It must be reliable and light enough that you hardly notice you’re carrying it. Knives are tools and at TRM we make the intended use a top priority. Everything from blade steel, handle materials and hardware, we’ve got your back. Functionality is also extremely important to all of us at TRM. We are obsessed with perfection, right down to every last detail. For example, our folding knives all have a titanium pocket clip with just the right tension to keep your knife in place, without shredding your clothing in the process. Les Halpern of Halpern Titanium has been in the trenches for more than 20 years, working closely with some of the leading names in the knife industry to help usher in a new era of knife-making. Halpern has been at the front of the line, leading the way for knife-makers and knife manufacturers to meet the growing needs for the finest materials, innovative designs and precision tolerances. Knives have evolved into a product that resembles functional art more than just a simple hand tool. Building on the strong foundation of helping well-known brands bring extremely high quality knives to market time and again, Les Halpern’s methodical approach and meticulous attention to every detail in all TRM products is undeniable.